There are only about 123,000 sites in the world with a better three-month Alexa traffic rank than Gowebguide.com. Compared with internet averages, the site’s users tend to be under the age of 25 childless men browsing from work. 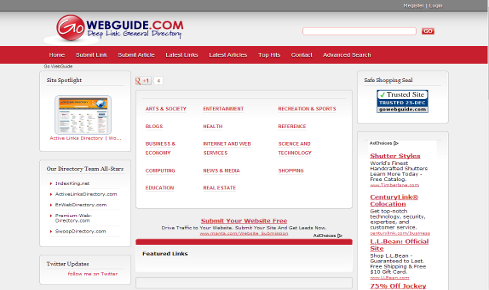 Visitors to Gowebguide.com spend roughly 3 1/2 minutes per visit and view over 5,500 pages monthly.